You have the right to work in an environment free from unsolicited and unwanted sexual advances or intimidation. Federal and state laws prohibit employers, supervisors, and coworkers from creating work environments where harassment of a person or group of people is encouraged or allowed. If you were harassed within your workplace, the law provides you with procedural and monetary remedies. However, to take advantage of these opportunities, you must comply with strict filing guidelines and time limitations.  Employment law is a specialized area of legal practice, and your interests are best served by Fort Lauderdale sexual harassment attorneys with years of experience. If you suspect workplace sexual harassment, contact Yeboah Law Group, P.A. for a confidential consultation and seasoned representation. What is considered sexual harassment in the workplace? Sexual harassment incidents commonly go unreported, with no accountability for the responsible parties. This happens because victims are often unsure about what they experienced or afraid that bringing a complaint will result in losing a job. If you have experienced such behaviors or conduct from any persons in your workplace, then your rights were likely violated. Whether the perpetrator is a fellow employee, a supervisor, or even a patron to the establishment, if his or her conduct interfered with your ability to complete your job duties, there may be actionable instances of sexual harassment. Even if you are not completely sure about the perpetrator’s intentions, contact a knowledgeable South Florida sexual harassment lawyer who will thoroughly investigates your allegations to identify all responsible parties and hold them accountable for their actions. Sexual harassment in the workplace is significantly more common than the general public is led to believe. Many good employees suffer quietly and do not report the harassment for fear of retaliation. No one should have to put up with such behavior while attempting to provide for themselves and their families. Federal and Florida laws offer legal recourse to stop the harassment, to address your grievances and/or to provide compensation for any losses you may have suffered as a result. Our skilled Miami-Dade sexual harassment attorneys have the knowledge and experience to assert your claim and secure compensation for your injuries. You don’t have to suffer in silence. Though challenging to overcome, sexual harassment is not a reflection of you. Don’t allow your harassers to win by failing to hold them liable for their actions. 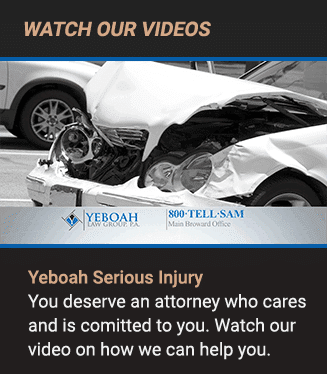 Contact Yeboah Law Group to discuss your case in a safe and confidential environment. You can call us at 1-800-TELL-SAM or complete our contact form to schedule a free consultation.